Explanation: The yellowish star near centre in this dusty telescopic skyview is T Tauri, prototype of the class of T Tauri variable stars. Just next door is the yellow cosmic cloud historically known as Hind's Variable Nebula (NGC 1555). Over 400 light-years away, at the edge of an otherwise invisible molecular cloud, both star and nebula are seen to vary significantly in brightness but not necessarily at the same time, adding to the mystery of the intriguing region. 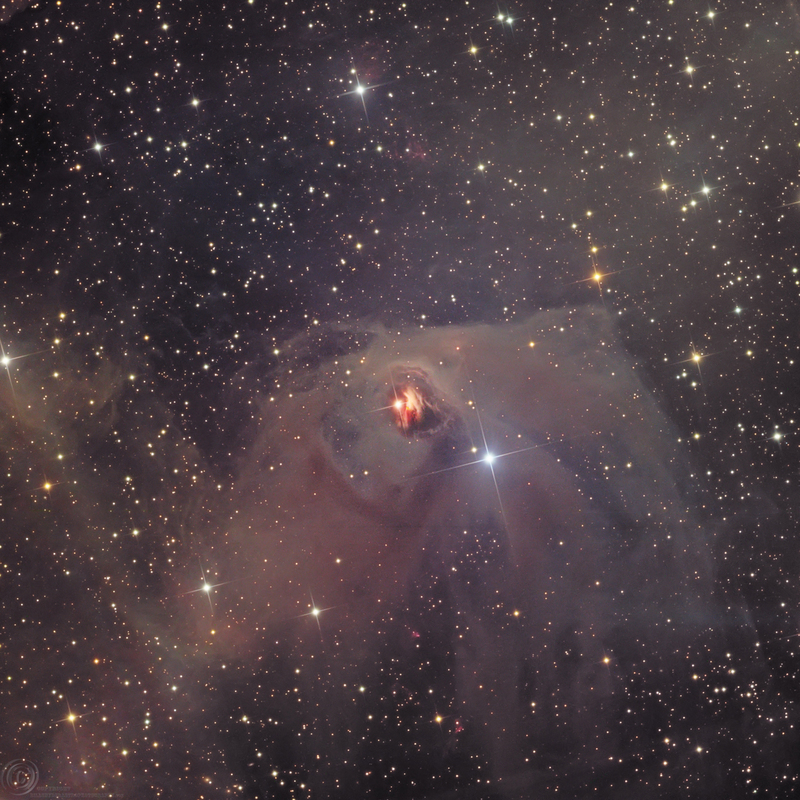 T Tauri stars are now generally recognized as young (less than a few million years old), sun-like stars still in the early stages of formation. To further complicate the picture, infrared observations indicate that T Tauri itself is part of a multiple system and suggest that the associated Hind's Nebula may also contain a very young stellar object. 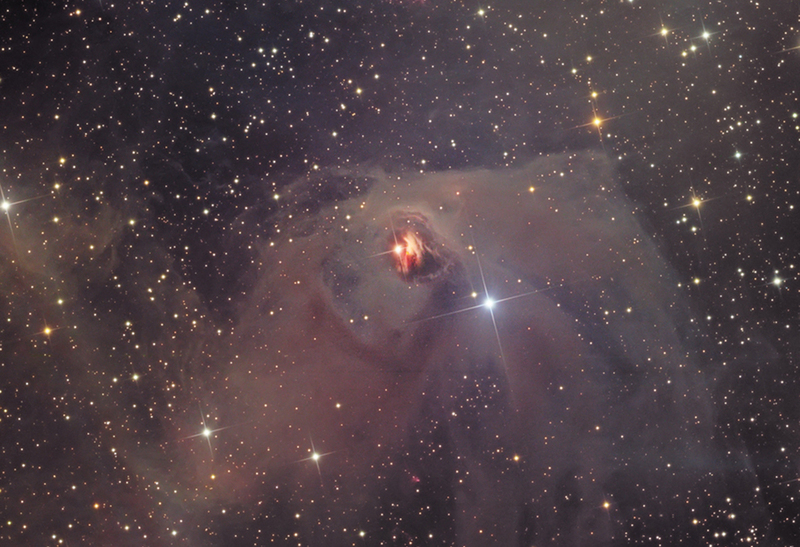 The naturally coloured image spans about 7 light-years at the estimated distance of T Tauri.